In my job I get to meet some really cool people and I met 4 of the members of New Young Pony Club. It’s great to meet a band who has a true personal style. If you haven’t heard them you should check them out. 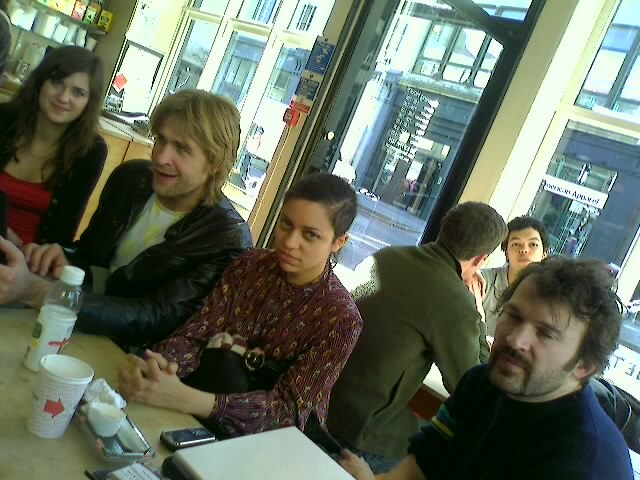 Tahita – vocals, Andy – Guitar, Lou – Keys, Igor – Bass and Sarah – drums. They’re playing in London at XFM Big Night Out Brixton Academy. Look out for them in April at The Bar Fly in London.